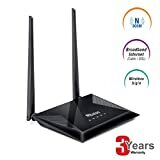 The DIR-600M Wireless N 150 Home Router is an attractive, high-performance router that makes it easy to share your broadband Internet connection with all your devices. 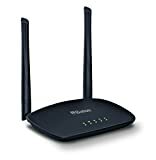 Simply connect it to your broadband modem, then use the web-based setup wizard that guides you step by step through the configuration process. Whether you’re surfing the web on your desktop or relaxing on the couch with your laptop, the DIR-600M keeps you connected wherever you are in your home. 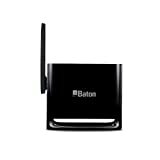 The external antenna provides good coverage for your network, so you can avoid “dead spots” and get a reliable connection in more places throughout your home.